You are looking at 36 hydrangeas made sugar flowers. perfect for any decorations of cakes or cupcakes! 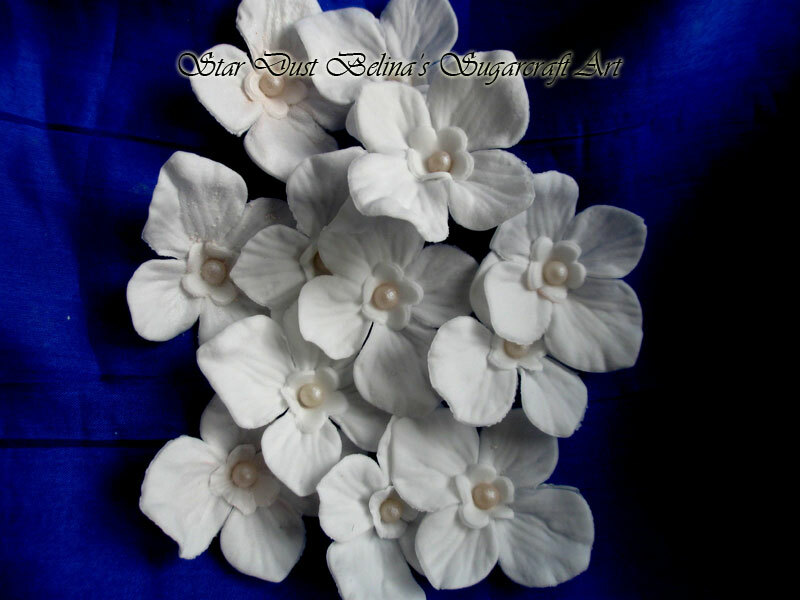 This lovely little white flowers brushed with white petal dust to give a natural look. Each flower measures approximately 35mm.